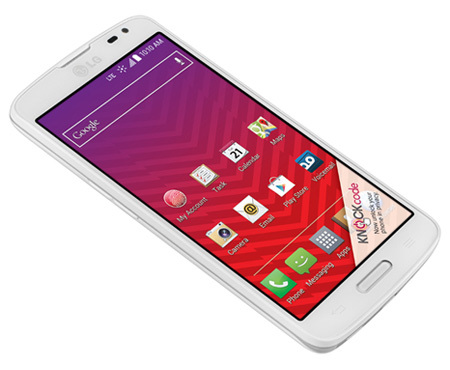 LG Volt LS740 / L90 has made its way to Virgin Mobile and Boost at attractive price. The specifications of the LG Volt LS 740 / L-90 are quite impressive and vigorous. The phone runs on Google’s latest Android 4.4 Kitkat operating system and houses a massive 3000 mAh battery. It features Knock Code, to enhance user experience. If you want to make the Volt more Fancy you can purchase the Quick Window Case, the premium protective case. It has 4.7 inch 960 x 540 pixels qHD IPS display. The features of the LG L90 Volt not just stop here, you can also use the phone as a remote to control cable box and home TV(Qremote). The battery of the Phone offers 24 hours of talktime, looks interesting. It has 8-megapixel primary camera with BSI sensor & a 1.3MP secondary camera. The LG Volt can record Full HD 1080p videos. It gains the strength from 1.2 GHz quad core processor based on Snapdragon 400 chipset. It is accomplished with 1GB of RAM and 8 Gigs of ROM ( internal storage). It has 3G, Sprint 4G LTE, Bluetooth, GPS, WiFi, NFC, micro USB with OTG and 3,5mm audio jack connectivity. Other features are : Easy Home, Home button LED, Smart Video, Quiet Mode, Smart screen, Knock on, Qslide function and Knock Code. You can Buy LG Volt Virgin and Volt Boost Mobile for $99 (off contract price) in the US & UK. The Boost Mobile variant comes in blue color while the Virgin Mobile model comes in White.